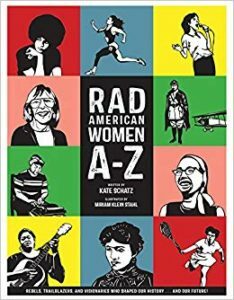 For this session of the Third-Grade Book Club, readers can choose to read any female biography from the Who Is/Who Was series or read from Rad American Women A-Z by Kate Schatz and Miriam Klein Stahl. Walk-ins are welcome to the Library’s elementary school book clubs for grades 1 -4, but registration is requested by calling the Library at (914) 738-1234. Book club books are usually available at the circulation desk for immediate checkout. I read this article and found it very interesting, thought it might be something for you. The article is called Third Grade Book Club: Focus on Female Biographiesand is located athttps://www.pelhamlibrary.org/programs/third-grade-book-club-focus-on-female-biographies.